The ongoing lack of clarity around Brexit continues to create uncertainty for the Northern Ireland business community and this is likely to be the ‘new normal’ for the foreseeable future. Ulster University senior economist Jodie Carson writes. On 20 September, the European Parliament’s Brexit negotiator, Guy Verhofstadt, indicated a willingness to make a special case for Northern Ireland retaining its status within the EU single market and customs union. However, there is unlikely to be an appetite for this within the DUP. As such, the backdrop of uncertainty remains and is further exacerbated by the absence of a functioning Executive. In the context of these challenges, Ulster University (UU) has been actively engaging with stakeholders to identify key risks (and indeed opportunities) associated with Brexit and to consider how Northern Ireland businesses might best respond to these. To date, this engagement has included a Brexit Business Survey conducted by the Ulster University Business School (UUBS) and a Brexit Symposium hosted by the University’s Vice Chancellor. 18 per cent of respondents’ workforce is comprised of other EU nationals (excluding Great Britain). This relative reliance on the EU is important, both at a business operations level in terms of firms importing and exporting, but also in a broader economic context, in relation to accessing skills and labour. Given Northern Ireland’s well-documented productivity gap, it would be concerning from an economic perspective if Brexit hindered the retention of skilled migrant labour. The survey confirms that Northern Ireland firms are keenly aware of the significant risks that they face as a result of Brexit; only 6 per cent of respondents considered themselves not to be at risk and 64 per cent of respondents believe that their business will suffer as a result. However, the perception of risk to the Northern Ireland economy is stronger still; 71 per cent of firms anticipate a detrimental economic impact. When asked about the specifics of the perceived risks to the Northern Ireland economy, the most commonly cited concern was Northern Ireland’s political vacuum, and the implications in terms of ensuring representation of local interests. Perhaps surprisingly, this ranked above the issue of Northern Ireland/Republic of Ireland cross-border trade. Northern Ireland businesses are clearly concerned that the political stalemate at Stormont, and the associated absence of a single voice for Northern Ireland, has the potential to be a considerable detriment. There is an acute awareness of the risks associated with Northern Ireland being under-represented during the Brexit negotiation and exit processes. This is problematic on many levels, particularly given the Northern Ireland land border with an EU nation, and the potential implications in terms of tariff and non-tariff costs, regulatory requirements, supply chains, logistics, tax, skills, etc. The economic imperative of safeguarding Northern Ireland’s interests in respect of all of the above is clear. 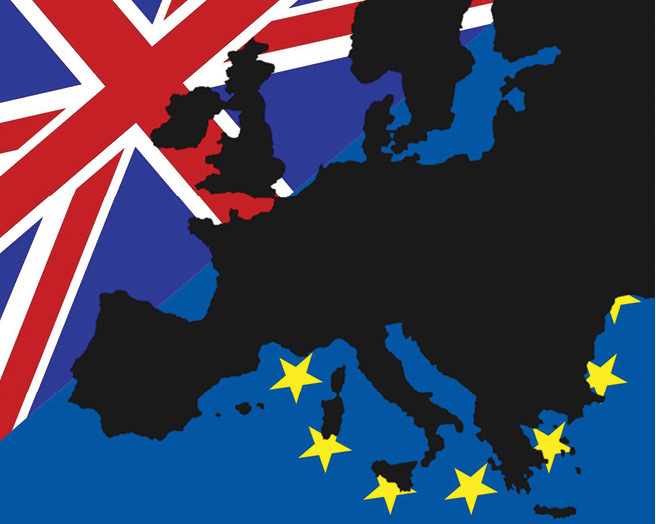 Firms are clearly concerned about Brexit, yet the survey indicates that three out of four local companies have not sought related support from outside of their own organisation and 70 per cent do not currently have a plan in place. However, the level of contingency planning may vary with company size (with smaller firms being comparatively unlikely to have plans in place) so this statistic may in fact under-state the level of planning underway. This response could of course also be reflective of the early stage in the Brexit process (one in five survey respondents stated that there was no point in seeking external support until the terms of Brexit are known). Many Northern Ireland businesses may have also been the beneficiaries of the devaluation of sterling against the euro (post Brexit vote), and associated boosts to Northern Ireland exports and tourism. As such, for some local businesses, the reality of Brexit has not yet materialised and planning/mitigating against risks may not be an imminent priority. It is, of course, important to acknowledge potential opportunities associated with Brexit and the survey indicates that some Northern Ireland firms perceive upside risks, including the prospect of striking new trade deals with other foreign markets and potential loosening of regulatory requirements. Perhaps the silver lining in all of this is that Northern Ireland businesses are – indeed, historically they have had to have been – comparatively resilient and are accustomed to uncertainty. The UUBS Business Brexit Survey indicates that a significant proportion of local firms, 84 per cent, consider themselves to be reasonably familiar with approaches for dealing with business uncertainty. This comparative resilience of Northern Ireland businesses is likely to be vital in coming months, as the ultimate withdrawal of the UK from the EU comes to fruition. Developing a regional migration policy for Northern Ireland. It was suggested that a local migration policy should be tailored to be reflective of the unique skill needs of the Northern Ireland economy, based on sectoral composition. Developing a workforce development strategy. There was discussion around such a policy being required to focus on skills development, to address skill gaps and to align with economic need. It was also suggested that there is a need for focused social policy to encourage people into work and upskill those already employed. In relation to the Northern Ireland/Republic of Ireland border, a number of potential solutions were discussed. The reality, of course, is that this will be subject to political will. The Brexit symposium also considered a range of business issues, such as the case for developing a ‘brand’ for Northern Ireland and strengthening innovation and export orientation of local firms. Full details of this event and associated outcomes will be published on the University’s Brexit webpage (www.ulster.ac.uk/brexit/home). Going forward, continued collaboration between academia, industry, unions, the third sector and policymakers will be vital as the Northern Ireland economy undergoes the full outworking of Brexit. UUBS is in the process of developing a Brexit Toolkit for businesses and the new UUBS Department of Global Business and Enterprise at the Magee campus is working with colleagues at Letterkenny Institute of Technology, sharing research and business support plans around Brexit.